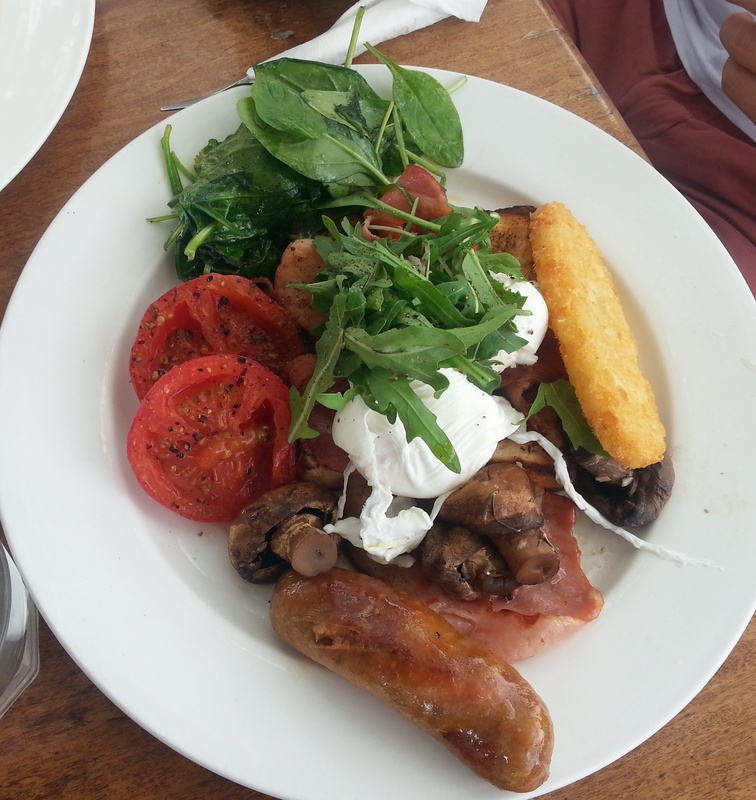 If you are looking for a delightful alfresco location for breakfast then look no further than Cafe La Mer in Brisbane's southeastern suburb of Manly. Nestled in between the boat hard stands and the harbour, this unassuming little cafe serves up great views and tasty food and is just outside the hustle and bustle of Manly's main street. As you walk in, initially the cafe seems unimpressive and even a little dingy, but once you see the lovely harbourside deck you realise that little attention will be placed on the building itself anyway. 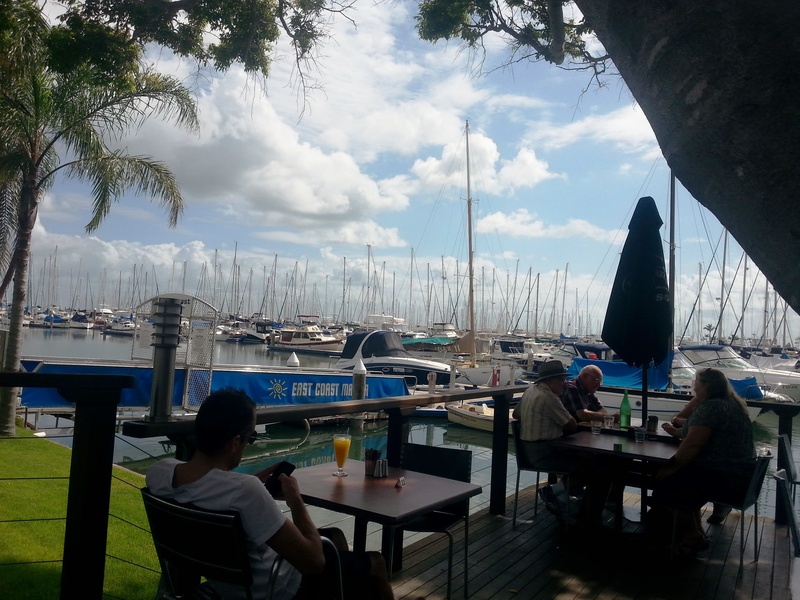 In fact, the cafe's location makes it one of the few genuine waterfront dining options in Manly. I'm not sure how busy La Mer would get on a week day but for weekends I would definitely recommend booking in advance and requesting a table on the outside deck. Situated underneath a big shady tree, on a nice day it really is a beautiful spot to sit. 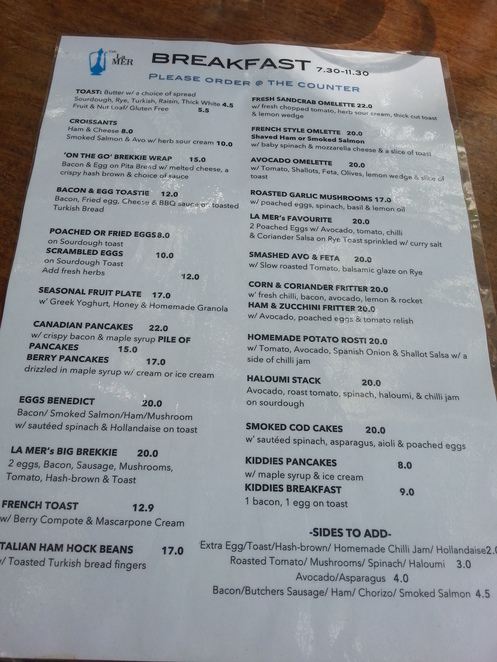 The breakfast menu is extensive and offers some more unconventional options like smoked cod cakes, sandcrab omlette, and Italian ham hock beans. As breakfast goes it probably is a little more towards the expensive end of the scale but the meals are very generous and tasty. 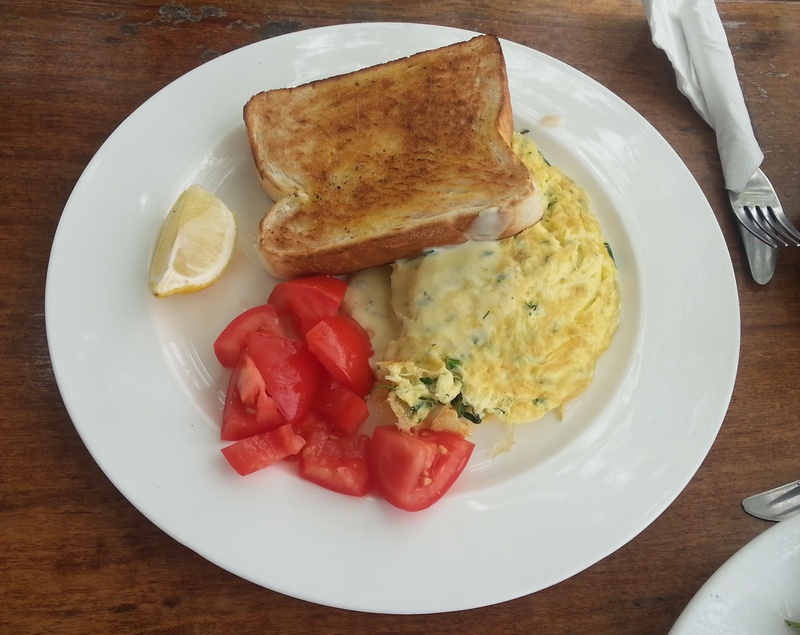 One member of our group did in fact opt for the sandcrab omlette and said it was very tasty. The boys went for the man friendly big breakfast, one with the addition of spinach and one with a chilli jam which was unfortunately a little too sweet but this was a minor criticism. My big positive for the day was that they seemed to be able to cook eggs well. This sounds like a odd thing to say but it never ceases to amaze me how many restaurants cannot manage to serve up an egg the way it was requested. I personally opted for the Corn and Coriander Fritter with chilli, bacon and avocado. This was probably one of the lighter options on the menu and I found the portion size to be very agreeable. My only comment would be that perhaps it would have been nice to see a little more seasoning in the fritter but other than that I was more than happy with my meal. The coffee at Cafe La Mer was also well above average. There was no need to request extra coffee shots and the blend was smooth and well prepared. I can't comment too much on service as there honestly was very little staff interaction with the customers. 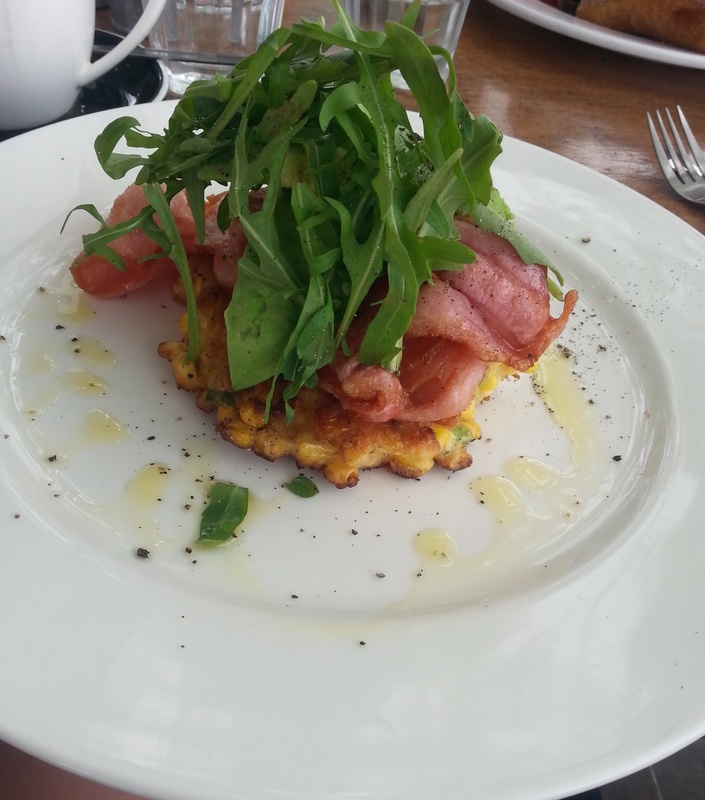 The food however was served fairly promptly and exactly as ordered so that has to be a tick on the pros list. Overall Cafe La Mer strikes me as a little bit of a hidden gem that is well worth consideration if you are ever in the area. Can’t park there,all too awkward Needs to be sorted out quickly.